To help us identify and organise pieces of music by a particular composer, individual compositions or sets are usually given an “Opus” number. The word “opus” is Latin and means “work” or “work of art”. The abbreviation is “Op.”, or “Opp.” in the plural. The practice of assigning an “opus number” to a work or set of works when the work or set was published began in the seventeenth century. Opus numbers were not usually used in chronological order and did not necessarily denote when a work was actually composed. Unpublished works often were left without opus numbers. From the 1800s onwards, Beethoven in particular assigned opus numbers to individual works and sets (including piano pieces, songs and other short works) as they were completed and published: low opus numbers indicate early works, while high opus numbers (for example, the Piano Sonata Opus 110) are works composed and published at the end of Beethoven’s life. Works published posthumousaly (after death) were also assigned high opus numbers, while some works were not given an opus number at all, and were later catalogued in the 1950s as WoO (Werke ohne opus/’works without opus number’). These include the three ‘Electoral’ piano sonatas, written when Beethoven was a very young man, which are not usually included with the main body of the Piano Sonatas (32 in total, whose opus numbers range from Opus 2 to Opus 111). Not all music has an opus number. The music of Bach is given a ‘BWV’ number, which is an abbreviation of “Bach-Werke-Verzeichnis” (literally, “directory of Bach’s works”), and was the cataloguing system for Bach’s music used by Wolfgang Smieder in the 1950s. Similarly, Mozart’s music is catalogued with “K numbers” from the name of the cataloguer, Köchel. A low K number indicates a piece written when Mozart was very young, while a high number indicates a piece written at the end of his life. Some people know the works by their K numbers alone. Ralph Kirkpatrick catalogued the numerous works of Domenico Scarlatti in a facsimile edition, and so these pieces are also given a K number, usually written “Kk” to distinguish it from Mozart’s Köchel number. To make matters slightly more confusing, Scarlatti’s works also have a “Longo number” after Alessandro Longo’s edition for the piano. 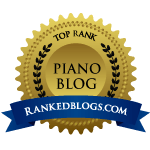 The Kk and Longo numbers do not correspond, which can make identifying a particular work by Scarlatti tricky; fortunately, there are tables of Kk and Longo numbers available online to help clear up such discrepancies. Haydn’s works are generally referred to by their Hob or Hoboken numbers, after the cataloguer Anthony von Hoboken’s classification, though some have Opus numbers alone. The works are also grouped into categories, for example, I for symphonies, or XVI for the piano sonatas. The Piano Sonatas have both a work number and a Hob. number, which, like the works of Scarlatti, make identification more confusing. Music specialists and academics often also refer to the “autographed score” or “autograph version”. These are original scores, written out by the composer, or transcribed by an assistant, and represent the first finished version, and are important historical documents in the scholarship of a particular composer’s works (over the years, music is subjected to editing; in recent years, scholars have gone back to autographed editions to understand the composer’s original intentions or to clear up questions of attribution or interpretation). Very occasionally, an original autographed score will come to light, which was previously thought to be lost, or non-existent, which can create a lot of excitement amongst music specialists and academics, as well as fetching significant sums at auction. 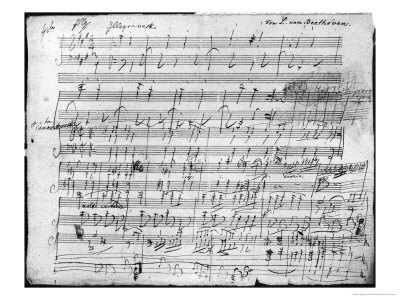 In 2009, researchers unearthed two pieces of music thought to have been written by Mozart when he was still a boy, and earlier this year a ‘new’ piece by Mozart was premiered, after an autographed notebook was found in the attic of a house in Austria. Next postPerforming – just do it!